HBWN's Luminosity Youth Summit Scholarship is an outstanding example of your HBWN membership dollars at work for the youth in our community. Membership Coordinator Mel Haverfield was lucky enough to experience some of the Luminosity magic with HBWN FreeThinkers Kahlee Johnstone (Scholarship recipient) and Tamara Dobson, who fundraised to take her team of 13 Martial Arts students with her! The Luminosity Youth Summit is about inspiring and lifting the leaders of tomorrow. It provides our youth with the opportunity to be able to develop their skills, knowledge and confidence so that they are fully equipped to be the best version of themselves and live the life they aspire to and to achieve and exceed their career aspirations. This 3 day event enables access to high quality resources, speakers and opportunities to inspire and engage our youth. HBWN is proud to have supported this event through our Scholarship Program since its inception in 2013. HBWN has proudly been a Gold Sponsor of the Hastings Education Fund (HEF) since its inception in 2011, which has assisted a total of 151 school leavers to access tertiary and vocational studies to achieve their educational goals. HEF's motto is Dream, Believe, Achieve. 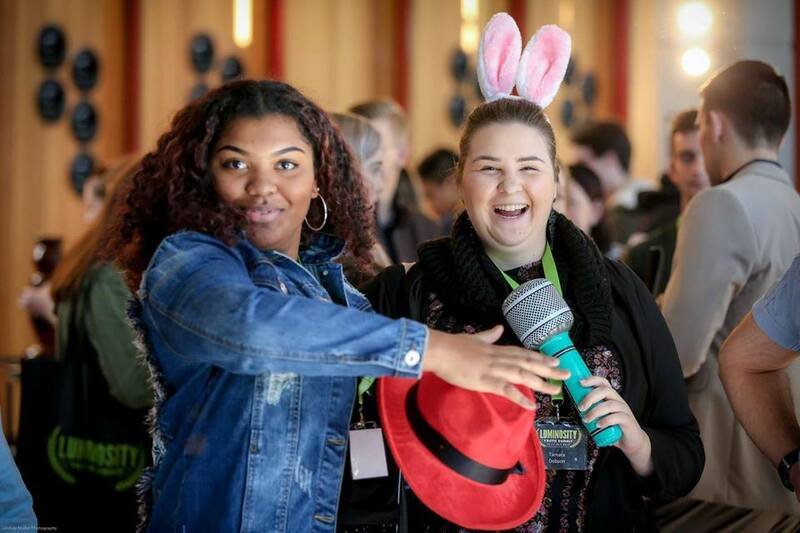 Young school leavers are encouraged to dream about a successful future and believe in themselves knowing that HEF is there to help them achieve their dreams. As a HEF Sponsor, HBWN and it's members are helping make this motto a reality in the lives of some wonderful and appreciative young Hastings women. 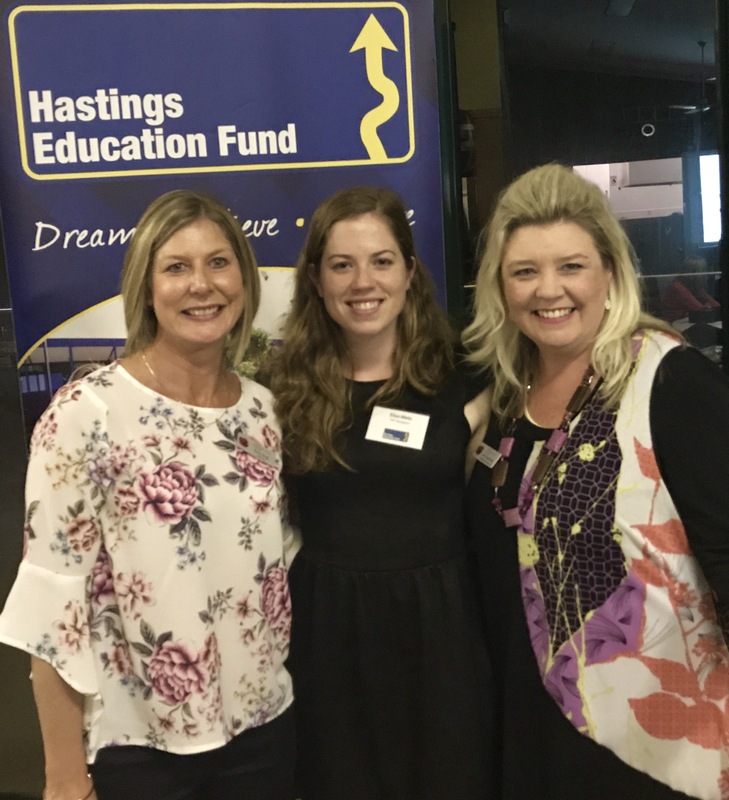 Recently, President Kelly King and Membership Coordinator Mel Haverfield were privleged to attend the Hastings Education Fund (HEF) sponsor dinner where they were delighted to meet HEF Recipient Eliza Metz who shared her incredible journey since first receiving her scholarship grant until now where she is well on her way to achieving her dream job in medicine. HBWN's HEF sponsorship is another way your membership helps us support our local community to encourage and empower women to achieve their business potential.